What is the Inspection Packet Approval Process? If the packet passes all checks, it will then be sent to the inspector. • After reviewing the repair list, you have the choice whether to complete the repairs to put the unit on the program, or refuse to complete them and the tenant must find another unit. Stove burners that do not work or have missing knobs. What is the HCV Process? • Tenant will come to you with a voucher. 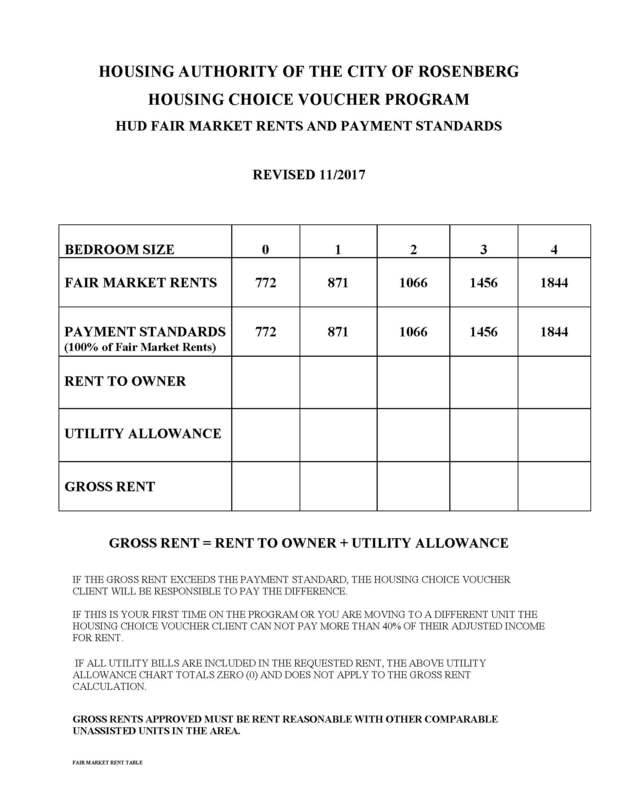 • The voucher indicates he/she is eligible for housing assistance. • Review the voucher; which will indicate the issue & expiration dates as well as the number of bedrooms the family qualifies for. • In some cases, the family may exceed their voucher size, but check with the housing office to make sure. Or refer to the tenant’s rent estimator sheet. • Return the yellow inspection packet to the housing office. • The Housing Assistance Payment Contract is a legally binding agreement between the owner and the RHA which controls payments made to the owner on behalf of the family. • Signed by the RHA & Owner and signifies final approval for a selected family to occupy the unit. • You will be notified, thereafter, by Lease Amendment any time there is a change in the HAP or the tenant payment. • The Housing Assistance Payment Contract must be signed. • The first payment may take up to two weeks to arrive. • Checks will normally be aviailable not later than the 5th business day of each month. • All payments are sent via first class mail. The subsidy is consider paid on the postmark date. When should I contact the RHA? • If the family fails to pay their portion of rent. • You discover damage to the unit, which was caused by the tenant. • The tenant has unauthorized occupants. • You have issued the tenant a lease violation or an eviction notice. • Family not residing in the unit. What types of housing are accepted? What can I charge for rent? The housing authority (HA) does not specify a rental amount. 4. Cannot exceed 40% of the tenant’s income. Am I required to lease to voucher holders? NO…Landlords have freedom to rent to whomever they choose. Landlords are not required to house families just because you choose to participate. CAN…The family’s current address the RHA has on file. Tenants are responsible for application fees and security deposit. Security deposits CANNOT exceed 1 month’s rent. Tenants are responsible for whatever utilities are not covered in rent. Utilities paid by tenant must be in their name. The HA calculates the portion of the rent paid by the tenant. The HA pays the remainder. All rent is paid directly to landlord. The HCV program does not provide free housing. The amount of assistance received is based on 30% of the adjusted household income. A modest allowance for the cost of utilities not included in the rent, and the family is therefore responsible for it. Example: 3 Bedroom House, and tenant is responsible only for electric. The Heating, Cooking & Water heating are electric. All appliances supplied by owner. How is a tenant’s rent determined? The housing authority will determine the tenant’s portion and the housing authority’s portion. The HAP contract will indicate the housing authoroty’s portion of rent. When can I request a rent increase? What do I do if the family isn’t paying the rent? How do I sign up for assistance check? 1. Go to Assistancecheck.com and click on “Create a Property Owner Account”. 3. Set up two security questions and responses. 4. Review your setup information prior to submitting the request to activate the account including your email address. How do I Esign a doc in Asssitance check? What are the current Utility Allowances?